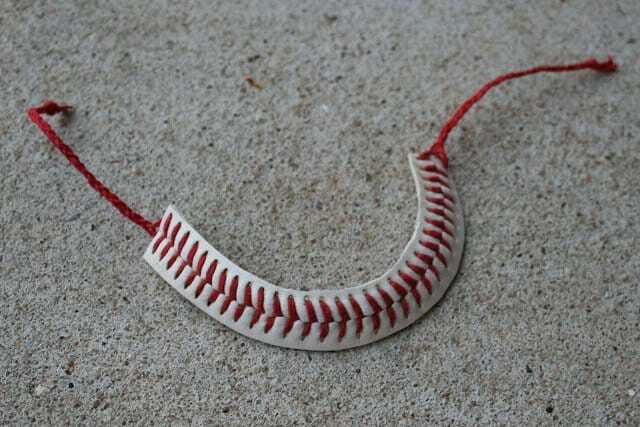 I’ve always loved both playing and watching baseball, especially because it’s a great sport for both summer and fall. 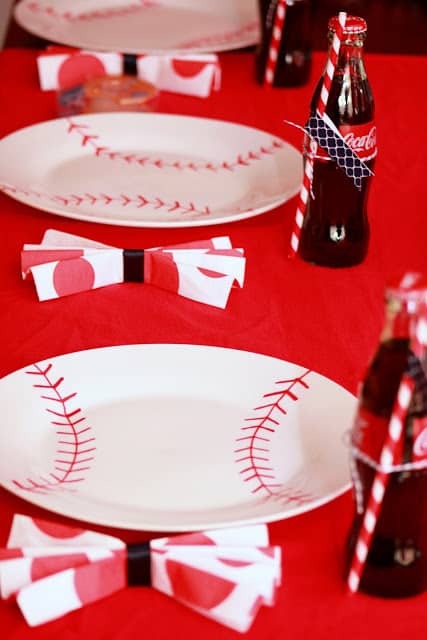 What I love even more, however, is when people craft and decorate in theme with their favorite sport. 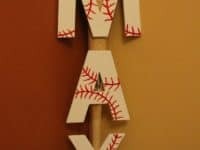 It lets kids enjoy the game when they can’t play and it shows your love for baseball (or whatever sport you like most) to guests who enter your house and want to learn more about you. 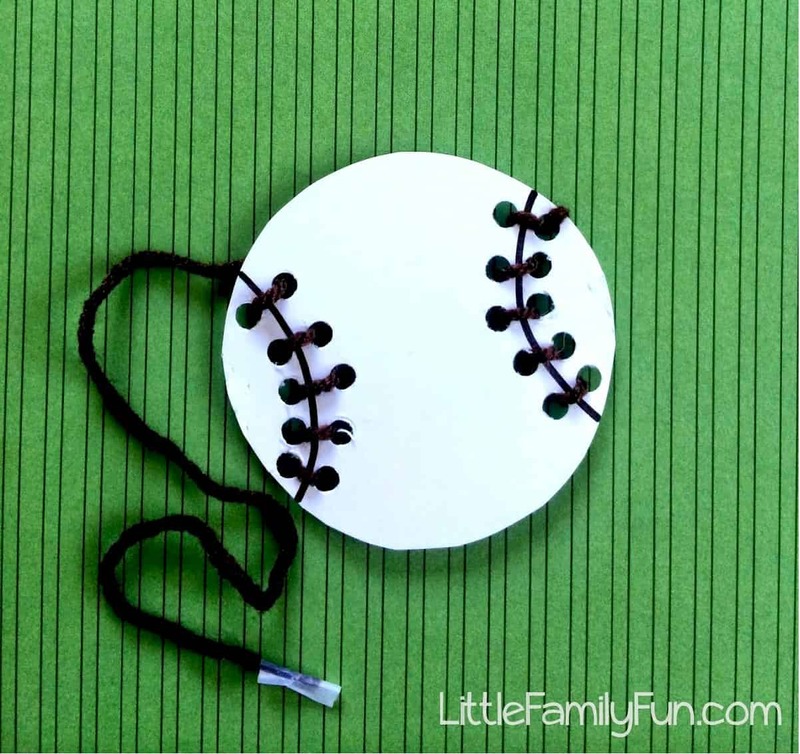 Check out these 15 adorable and creative baseball themed crafts that are perfect for a little bit of DIY time with the whole family! Do you love nothing more than watching your kids play sports? 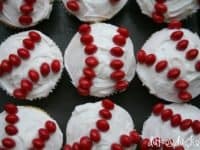 Team sports like baseball are a unique opportunity to get the whole family together to bond over something at least one member is passionate about. 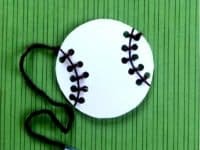 Dukes and Duchesses suggests preserving the feeling of watching your kids play baseball while they’re still small by making this DIY hand printed souvenir baseball! 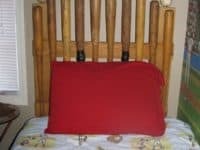 Take one of their older balls and have your child place their hand on a large sized ink pad, then print it on the ball. 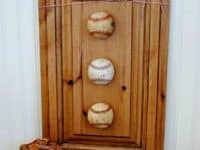 If you have access to an old wooden shutter that you don’t need on your house, but that still looks like it’s in quite good condition, then you’re nearly set for making this adorable hanging baseball memento by The Benson Street! 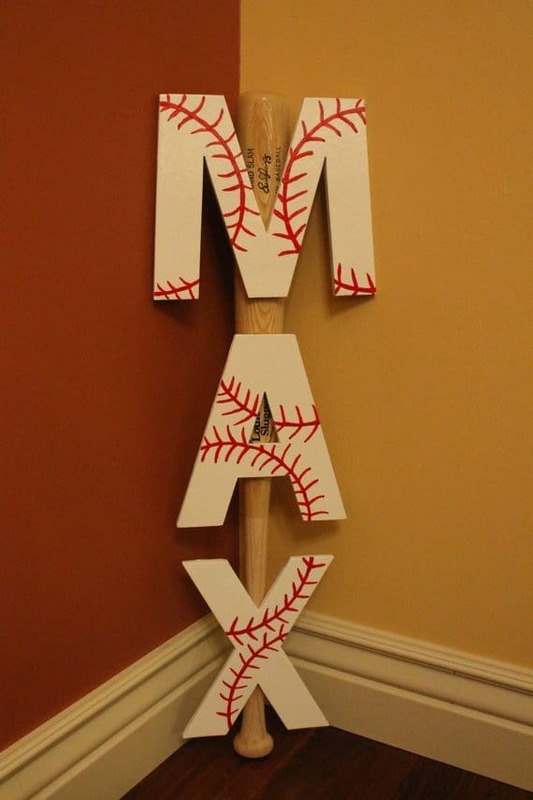 After that, all you need is a trio of baseballs and your tools! 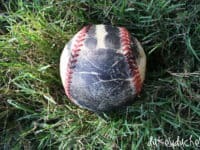 Consider using three baseballs that have some meaning to you or your child, like a first home run, a ball from the high school state championship, and a ball from their first college game. 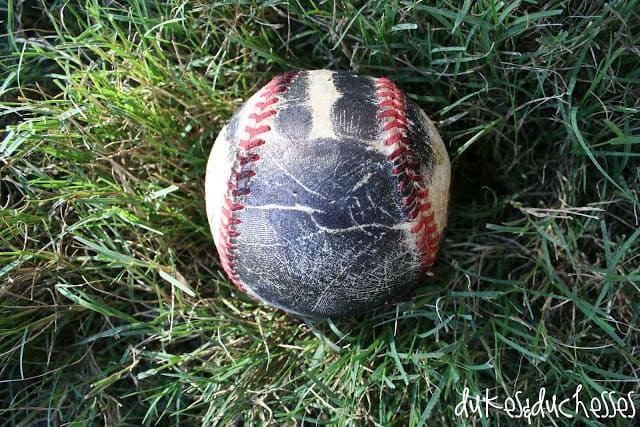 Do your kids play baseball so much that you have a collection of balls that are broken or torn? 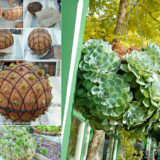 Don’t throw them out! Instead, try preserving parts of the ball for crafting purposes. I absolutely adore this stitching bracelet idea by Dukes and Duchesses. 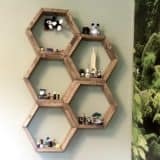 This one’s surprisingly easy to make and I’m a fan of anything that upcycles things! 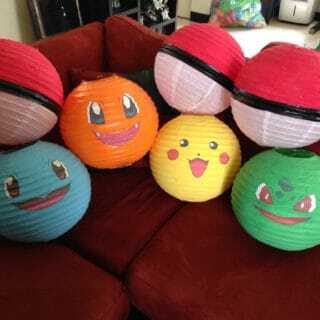 Do you just absolutely love themed decor, even in your practical things? 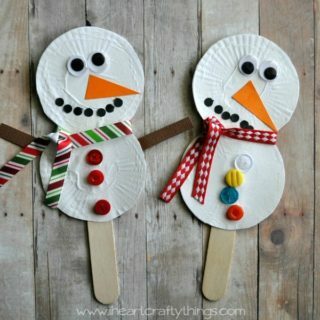 Perhaps you’ve decided a bulletin board would be really useful in the kitchen or above your kid’s desk. 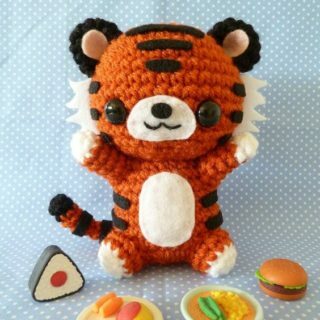 Just because it’ll get used a lot doesn’t mean it can’t look cute! 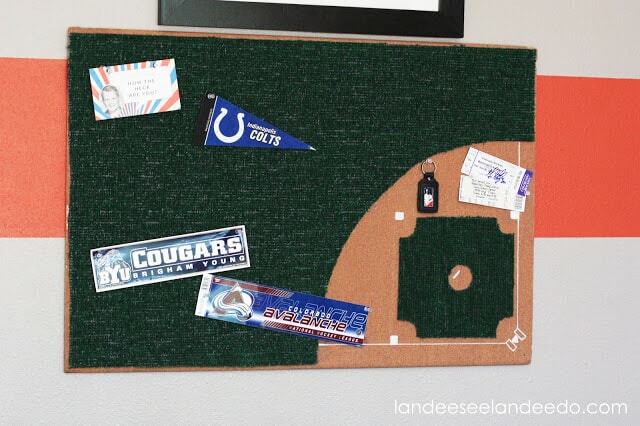 Check out how Landleelu made their bulletin board look like a miniature baseball diamond! 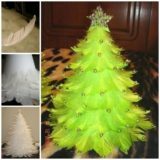 I’m a total sucker for decorative lighting, especially when it comes to DIY options, but I get especially excited about the idea it when the project is also themed! 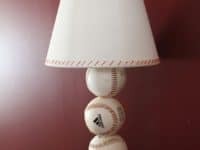 That’s why I just had to include this adorable little baseball lamp idea! 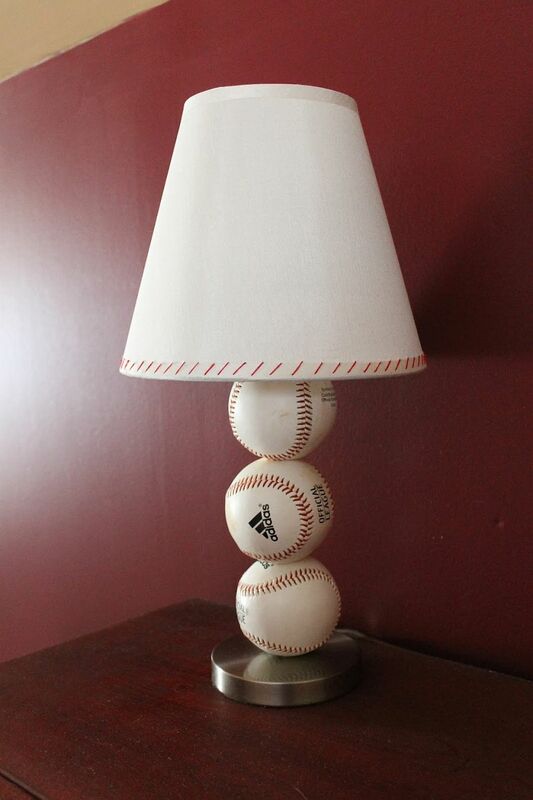 Paint Speckled Paw Prints guides you through the process of stacking your own baseballs vertically down a desk lamp’s stand. Have you seen regular sharpie dish tutorials before and learned how to use the technique to customize coffee mugs with black ink? 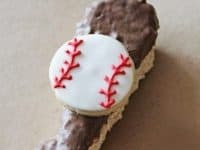 Well, this adorable baseball party plate idea from Mirabelle Creations uses the exact same technique and they show you entirely how to do it! 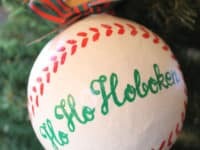 Baseball might not be the first thing that comes to your mind when you think about Christmas, but the Christmas tree is actually a great place for showing how passionate you are about something or how much you enjoy it. 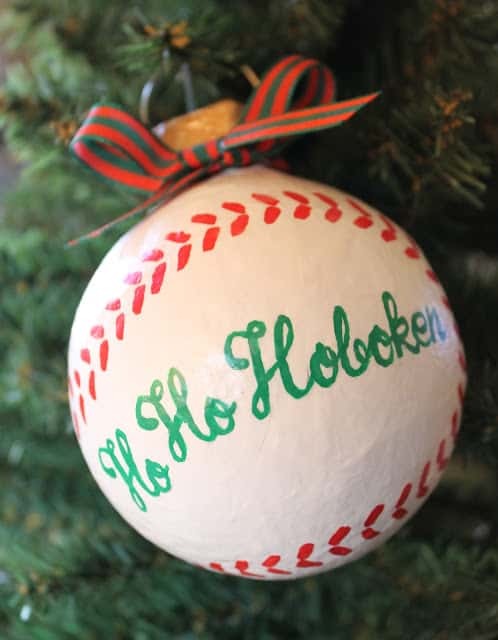 I love the way Ho Ho Hoboken painted a regular Christmas ball ornament to look like a simple baseball and a holiday message (which you can, of course, totally customize for yourself)! 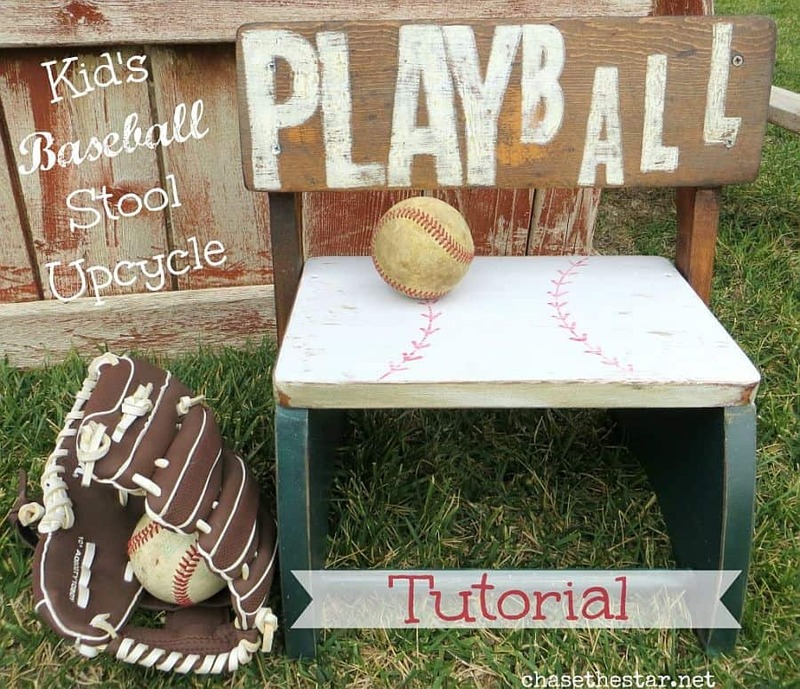 Stools are great when you have kids. 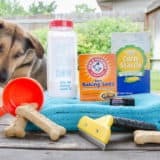 They can use them to stand by the sink while they brush their teeth, sit on them any time when adult guests visit and take up all the couches, or stand on them to reach things that are placed high up around the house. 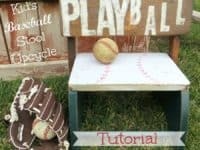 If you’d rather make your child a fun custom design than just a regular wooden stool, then check out how Paper Blog painted this one. 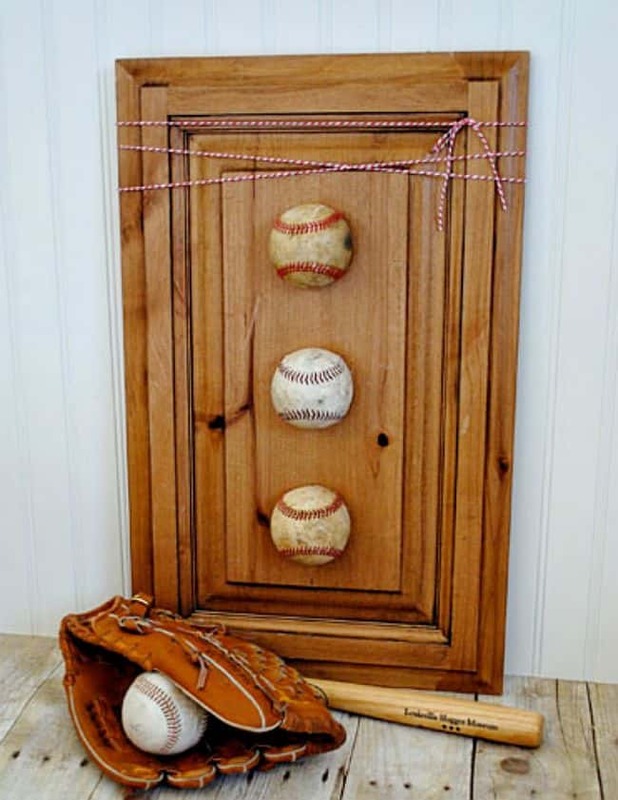 Are you or your child so in love with baseball that you’re ready to commit to a big statement piece in one room? 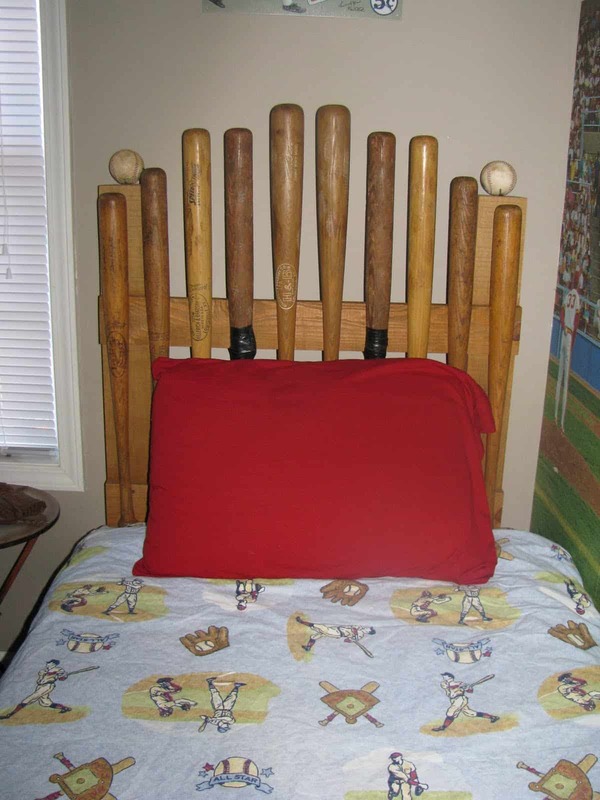 Then I definitely suggest this adorable baseball bat headboard, complete with a few balls for emphasis. 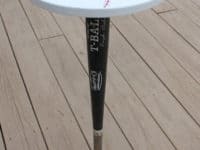 You could use brand new or pre-loved bats! 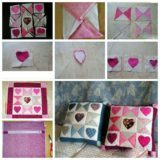 Get more details on Chappell of Love. Are you very hands-on and interested in a piece that’ll cause a little bit of conversation when guests walk onto the deck or into the room? 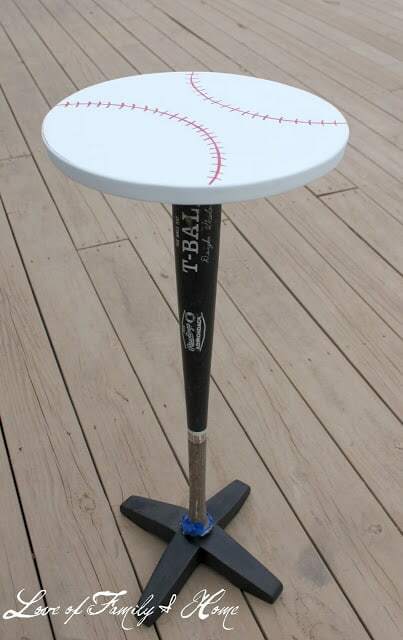 Then you need to check out this adorable side table by Inspired by Family. I’m absolutely. in love with the idea of a single bat as a stand rather than four legs like many tables. 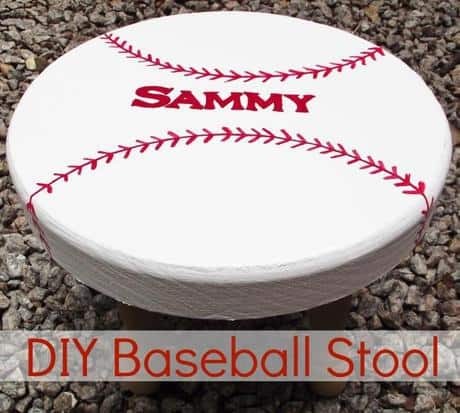 Do you like the idea of making your kids a baseball themed stool, just like we mentioned above, but you’d rather the stool have a back on it? Perhaps you think they’ll be sitting there while they brush their teeth. In that case, check out this adorable stenciled design from Hello Life. 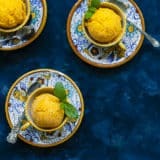 Cooking and baking yourself and your family delicious things totally counts as DIY too! 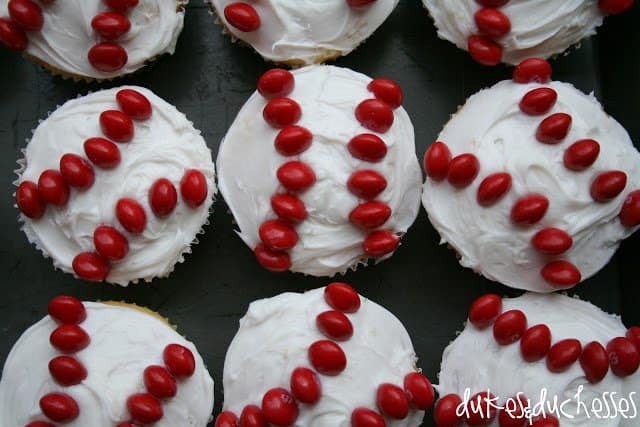 It might not be decor, because if you’re anything like me you’ll end up eating them right away, but basball cupcakes are a quick and easy way to give things a theme, just like Dukes and Duchesses. 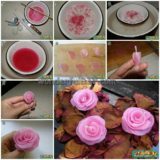 This “cake’ is one of the best baking ideas I’ve seen in weeks. 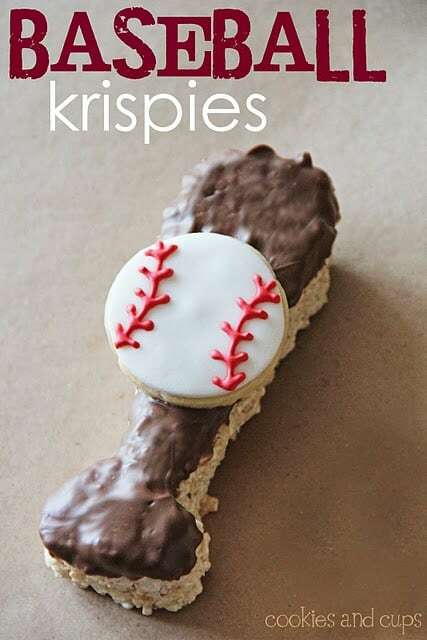 Creating the shape with rice crispy treats instead of moist cake will help the idea hold it’s structure better so you can cover it with chocolate more easily. 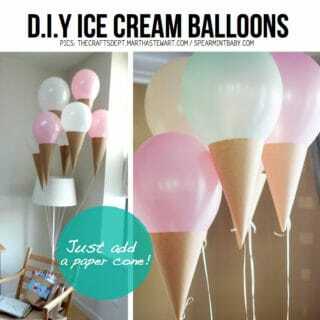 You could make this cute shape from Cookies and Cups as one big cake or as many little treats. Do you love DIY projects that use or create monograms? I do too! 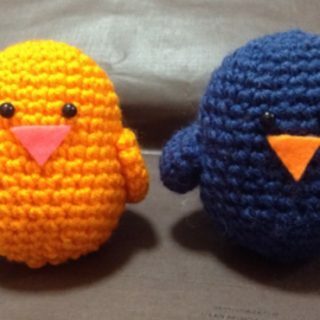 I recently sent a friend this particular design and she remade it with her son’s initials righy away. The skill lies in painting the red stitching on very smoothly. 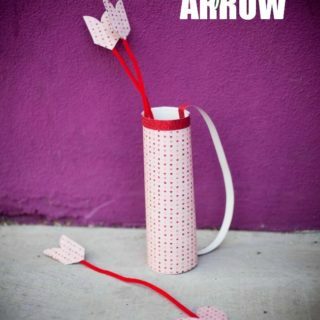 We Follow shows you how to attach crafting letters down the length of a baseball bat. 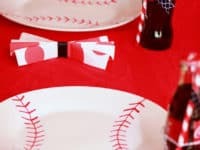 Maybe you have little kids who aren’t quite old enough to join a real baseball team yet themselves but are obsessed with the concepts of the game? 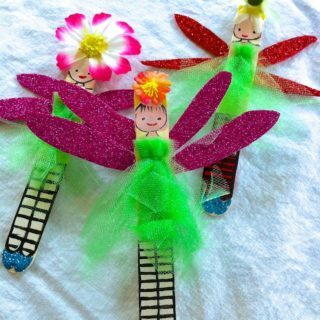 Hep them make this adorable threading and sewing activity that will help them out with their fine motor sjills. 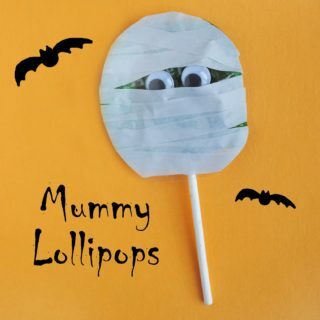 Get the instructions for the size like Free Kids CraftsHave you I ever made other .